I popped by here a week or three ago, and the mill is beginning to look rather shabby. It is due for repair in the next couple of years, and a millwright friend of mine has been asked to look into the repairs and its history. The much quoted building date is 1801, but I can't find it on any of the early maps, or in any contemporary documents or datestone etc. 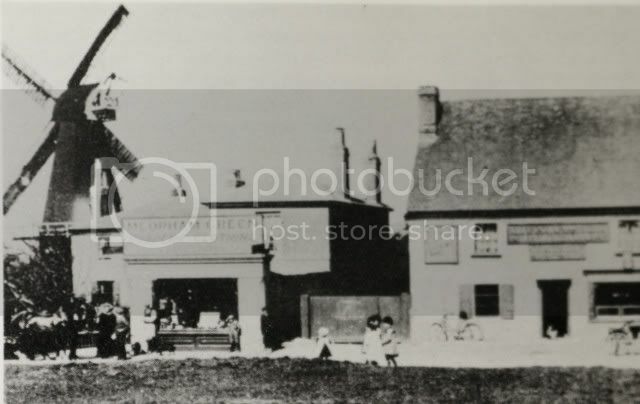 It was certainly built by the Killick family of Strood, and they were advertising as millwrights in Strood in 1794. The general feeling is that it is not quite as old as 1801, as it was a bit too 'modern' for that period. 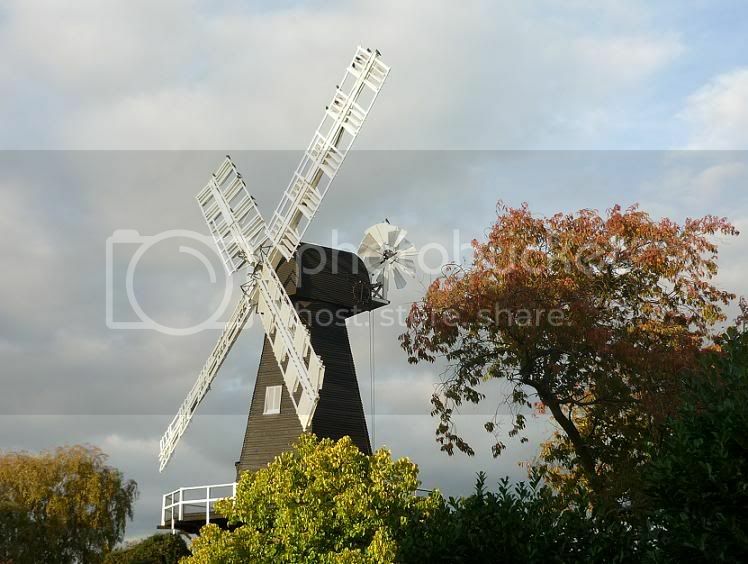 Other very similar mills stood at Strood Hill and Lower Stoke and are attributed to the Killick family as millwrights. The earliest reference I can find is on the tithe apportionment of 1840 which names James Killick as miller. I just wondered if anyone has any information which could fill this missing 39 year period? This mill needs a lot of repair if it ever is to be worked again sadly, as the cap is very hard to turn. 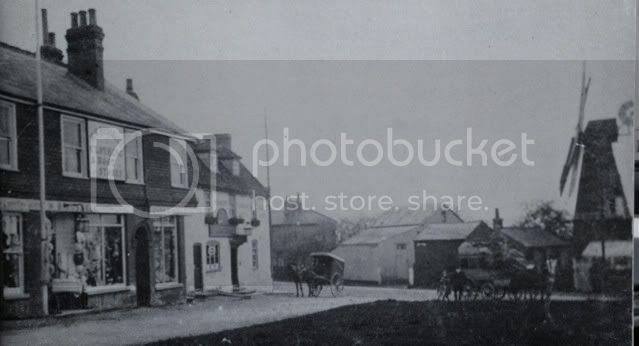 The much quoted building date of 1801 is probably wrong, and should read 1821. 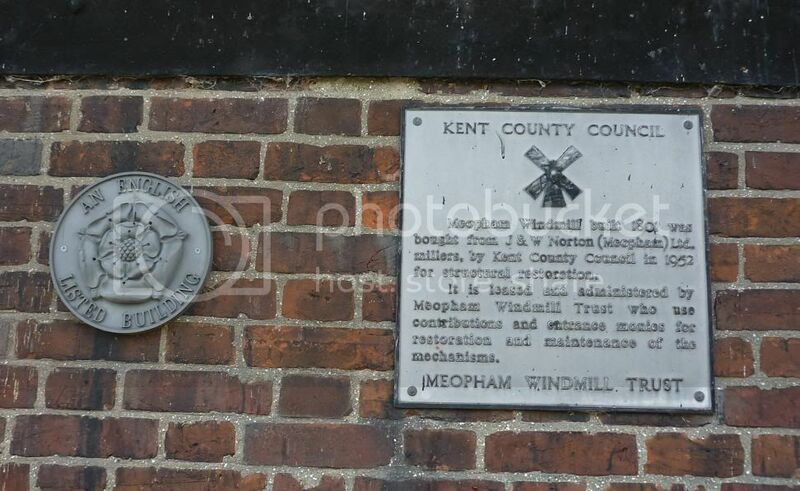 Meopham windmill, one of eleven made the subject of Building Preservation Orders in 1952, is now owned by Kent County Council, who have been restoring it at a cost of £4,575. The sales were due to be rehung in the last week of October. 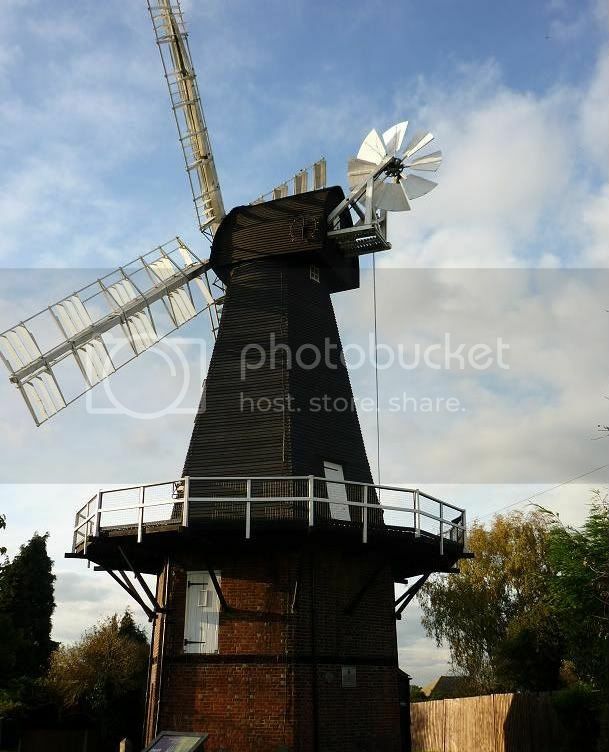 The mill was built about 1801, and since 1860 remained in the Norton family, who still lease it, although the milling operation is now performed by electric power. 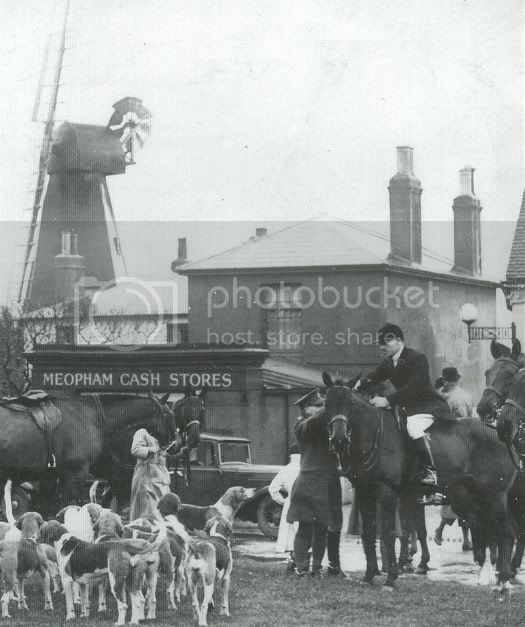 Here's a 1934 pic with the windmill in, when the Royal Engineers hunt moved off from Meopham.